Looking for fast plumbing repairs, expert water treatment service or help with a kitchen or bathroom remodeling project? Count on the experts at Saylor's Plumbing - offering quality plumbing services and real solutions for your most challenging plumbing projects. We carry replacement piping, fixtures, well pumps, hot water heaters and more on our service truck for FAST repairs! Water treatment isn't just about how healthy your water is to drink or how your water tastes. Many homeowners experience ongoing plumbing issues (clogged pipes, corrosion or staining on fixtures) because their water is too hard, contains too much iron or isn't balanced at the right PH value. At Saylor's Plumbing we can offer real solutions for all your water treatment needs from repairing an ailing water system to recommending new technologies that can improve your water quality, make showers more pleasant and keep your fixtures from corroding or staining. We offer whole house solutions or station to station systems that provide clear, healthy water for you and your family. We depend on high-quality products from Allen Manufacturing, a Waterfalls distributor for all your water treatment needs. Remodeling your kitchen or bathroom? 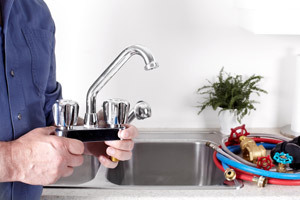 Get the plumbing right with dependable service from Saylor's Plumbing. Whether you're re-routing pipes, installing new fixtures, we can handle your plumbing remodeling project with ease. 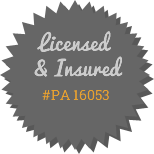 Contact us to schedule service! © 2019, Saylor's Plumbing. All Rights Reserved Website services provided by EZSolution Corp.